Over the past few years, the business world has witnessed a rapid rise in technological advancements designed to enhance and revolutionize project management. Most of these innovations have made the work of managers (and decision-makers by extension) easier and more adaptable to the dynamic technological landscape. Are you planning to automate some of your business processes but aren’t sure where to start? Below are 5 ways in which you can use software and other related tools to simplify common large-scale project management tasks. Project-based chat platforms and collaborations tools are some of the latest technologies that are quickly transforming project management. For example, the introduction of social platforms like Slack and Asana has seen companies and organizations bring together team members to collaborate on joint projects regardless of their geographical locations. This has enabled more people to work from home or their preferred locations and still get access to crucial work-related information in real-time. The end result is improved employee motivation, productivity, and ultimately more business success. As more businesses embrace technology to automate their core processes, one area that a majority are gravitating more towards is cloud technology. Cloud-based sharing platforms, for example, present project managers with numerous ways to increase their team’s productivity while also making members more accountable. With these innovations, employees are able to remain increasingly focused as their progress is tracked by managers and supervisors in real-time. Some of the software you can use for this function include FreshDesk or CRMs like Salesforce and Agile CRM for collaborative projects. Remember, being able to effectively track your business progress and targets makes it easier for you to identify arising issues and potential roadblocks before they get out of hand. When it comes to running a project or a business, you can never underestimate the importance of having reliable information gathering tools and sensors. These tools provide you (as the decision maker) with informed and accurate market research information any time you need it. Some of the key areas where you need timely updates include your competitors’ activities, data on changing consumer behavior, and information about your internal team among others. The good thing is that there are software for collecting nearly any type information you need today. For example, if you’re interested in monitoring your competition’s activities online, tools such as Ahrefs and Sprout Social will come in handy for tracking SEO and social activities respectively. On the other hand, you can rely on data provided by Google Trends and related services to understand market trends and preferences at a given time. Others software like Zoho Projects, Wrike, and Smartsheet will help you track your team’s activities quite seamlessly. Any project manager will acknowledge that one of their most frustrating jobs is having to oversee their teams do repetitive tasks on a regular basis. Some of the most tedious jobs that employees have to constantly grapple with include emailing, data entry, calling potential leads, and reporting among others. Fortunately, it doesn’t always have to be this way. With the right workflow and reporting automation tools such as email autoresponders, CRMs, or this Hubspot Outlook integration, it becomes easier to eliminate most of these repetitive administrative tasks. In the end, your team is able to focus on more important tasks like closing sales deals and fostering valuable partnerships. Like we mentioned earlier, it’s not uncommon to find project teams that comprise members spread in different countries and time zones. Likewise, companies are now going international with their products and services with some targeting markets in different time zones. In both cases, automation is required for communication e.g. to facilitate email and social media marketing campaigns. 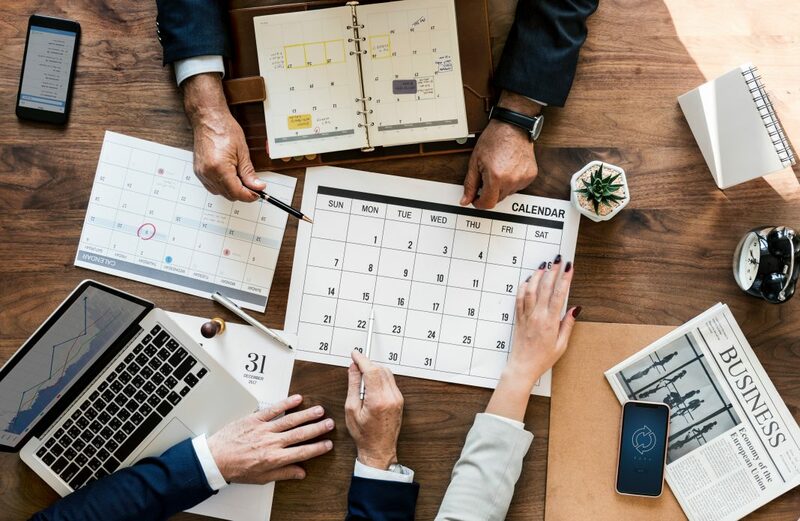 A tool like Hootsuite can assist in scheduling social media posts so they’re published automatically at appropriate times for your targeted audience. On the other hand, if you work with a decentralized workforce, there’s a need to ensure that each team member is on the same page as regards to deadlines, group meetings, and project progress. To successfully coordinate the team and make your work easier, consider using proven task scheduling software such as Clarizen or Taskworld. More and more businesses are now investing heavily in software to help them streamline among other areas employee management, data transmission, and workflow management. If you’re looking to get an edge over your competition or want to boost your business income, it’s time to embrace automation for increased efficiency, innovation, and ultimately more business success. Previous articleWhat’s in Your Technology-Enabled Learning Toolbox?